Happy Halloween! Here is a box made for teachers by teachers! 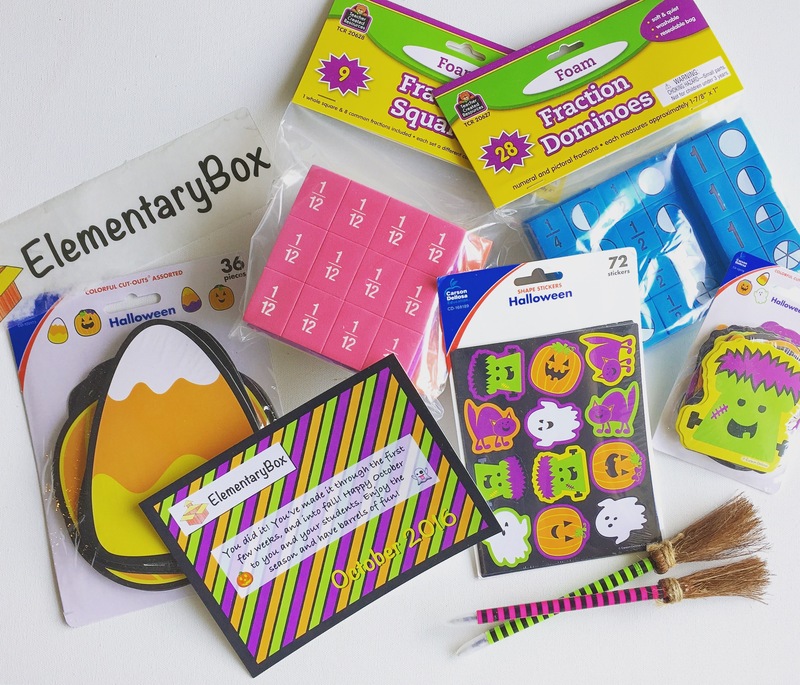 Elementary Box focuses on pre-K thru grade 5 with seasonal themes as well like this months Halloween theme! This is a great gift for your kids teacher, a friend or family that’s a teacher, even good for those home schooled or even just a mom! You can expect to find teaching resources, student incentives and teacher gifts that build a sense of community in the classroom made by local small businesses. A lovely memory I have from when I was in elementary school was that mom used to give my sister and I ‘I Tried It!’ stickers whenever we tried something new. Rye bread? Sticker. Dragon Fruit? Sticker. Sushi? Sticker. I loved it, and u learned to try new things, something that I am proud of today. Loving these stickers, hence why I say this is good for a mom or teacher! Teachers really do so much for our kids, they have a hard job, I know I could never do it, I have a hard enough time babysitting my 3 yr old nephew, let alone a class full! Super cute box here for a grade 3 teacher. They have fraction dominos, stickers and how cute are those Halloween pens! Love em’! Order here for only $27 a month with code THANKATEACHER with free shipping (this box is worth $40!). Don’t forget to check out their instagram and pinterest page, loving the past boxes!